Mumbai: In a first-of-its-kind initiative, BSE Institute hosted Dalal Street Lit Fest 2017 at the Institute’s Fort premises in Mumbai from March 9-10, 2017. It was an Art celebration festival blending the themes of Finance and Literature. 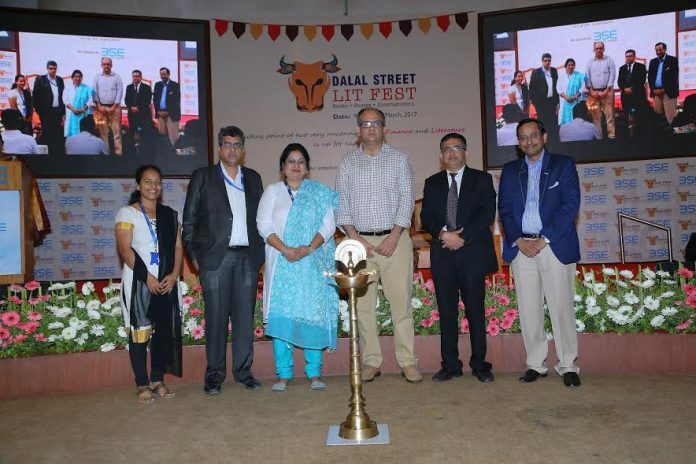 The event was graced by a wide galaxy of diverse talents from the finance, art and journalism space namely Tamal Bandopadhaya, Ashwin Sanghi, Radha Krishna Pillai, Rashmi Bansal, Ravi Subramanain, Anurag Batra. Shri. Ashishkumar Chauhan, MD & CEO, BSE Ltd., renowned author & columnist Shri. Vivek kaul and Shri. Ambarish Datta, MD & CEO, BSE Institute are seen at the inauguration. Next articleVienna voted the most livable city in the world for the eighth time!